As the newest Range Rover on the block, the Range Rover Velar offers all of the Land Rover performance features you know and love, including Terrain Response®, Adaptive Dynamics, Hill Descent Control®, V8 engine options, excellent towing capacity, and more! 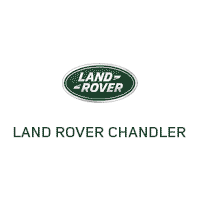 Browse our inventory at Land Rover Chandler near Phoenix. When you’re ready to explore all the things to do in Chandler, AZ in a new Land Rover, see the Range Rover Velar in person at Land Rover Chandler! We want to help you find the right SUV for your lifestyle.